Writing an e-book that answers a pressing question for your target audience accomplishes many things: it establishes your expertise, gives you a new way to market yourself, and puts you in the position to develop a passive income. How to choose the right topic. How to frame the topic for your audience. A simple plan for organizing your content that will cut hours from your writing. The power that comes from revision. Ideas for distributing and leveraging your work. If you’ve been wanting to write and publish an online book to help grow your business, you don’t want to miss out on this live event. To be able to attend this event, you’ll need to update your Wealthy Web Writer membership so it is active. You can do that here. Let me know if you have any questions. I am a member…just logged into the site. The replay will be up today. I’ll have that up today, Julia. Thanks! Just remembered about this today, and downloaded the slides. Will be digging in to this later on today. Thanks Heather! I am a new member (just this morning, in fact! ), and would love to know if you will be releasing a video of the e-book seminar. I am sorry I missed it! The playback is available now. I just listened to the replay and it was absolutely one of the most worthwhile webinars to which I have listened in a long time. It was full of really good information. Very straightforward and clear – Already using what I learned here about shifting between editor and writer mode. Thank you so much for sharing your wisdom with us. 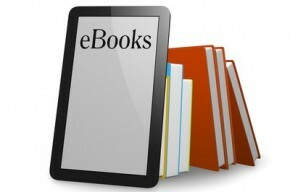 Your webinar is a blueprint for ebook success!